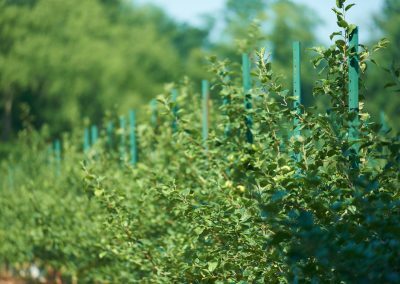 Distributed by Best Angle Tree Stakes, Jersey Shore Steel rail steel orchard posts offer unparalleled strength; efficient tree-training designs; and fast, easy installation. 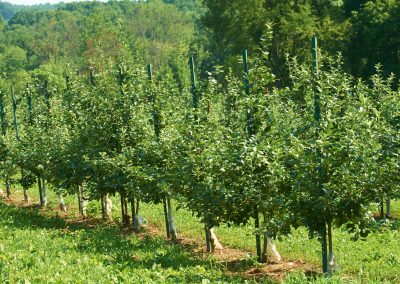 Jersey Shore Steel orchard posts save you time and money, and the advantages of high-carbon rail steel provide a long-lasting, weather-resistant tree-training solution. 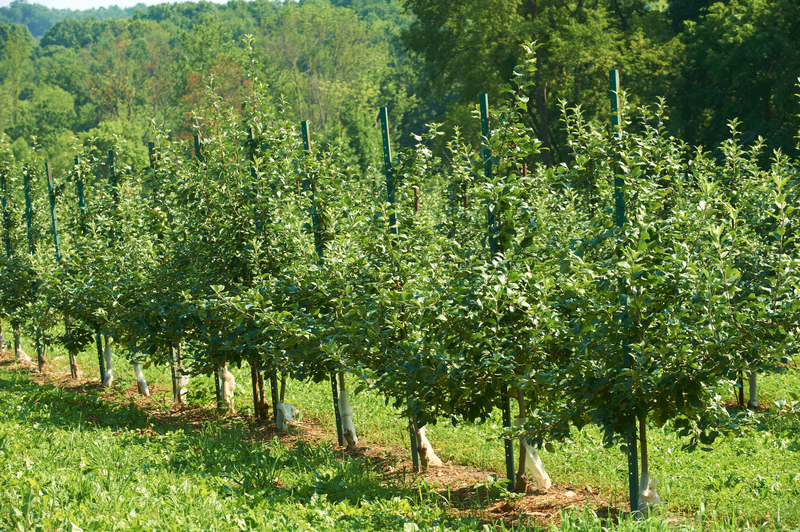 Rail steel orchard posts are designed for long life and optimum durability. 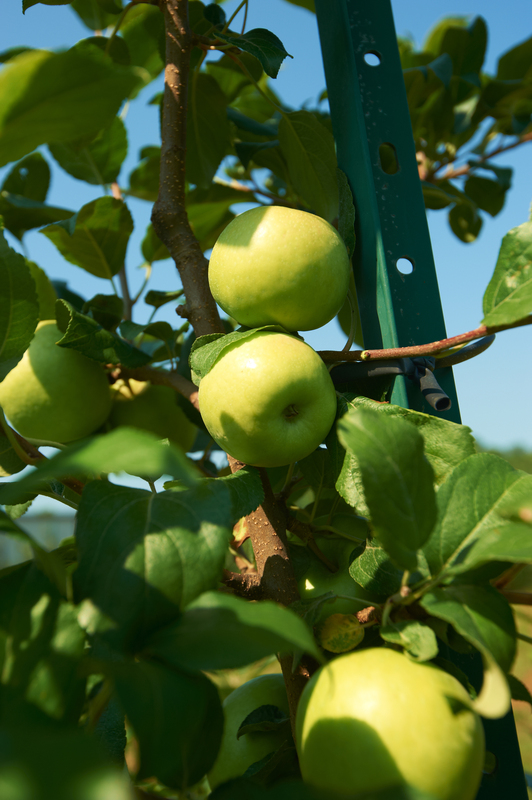 Unlike wooden stakes, rail steel orchard posts will never splinter, never break, never warp, and never release any wood preservatives into your soil. Under heavy wind, wooden stakes can bend or break. 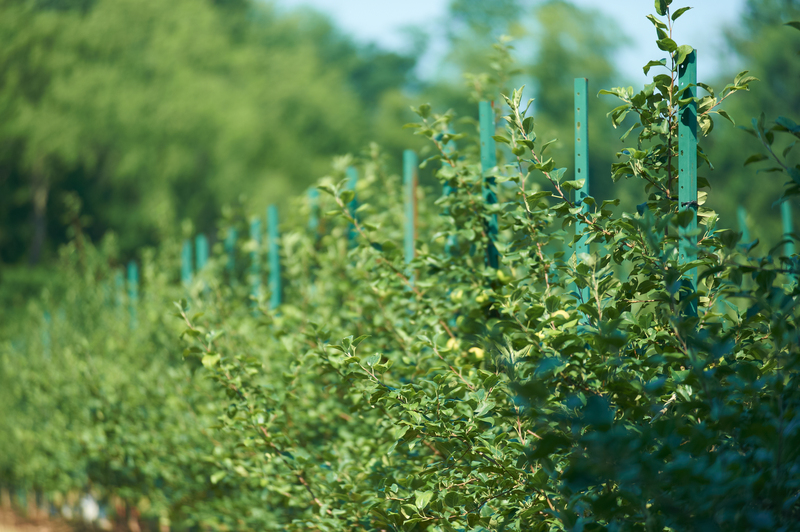 High-carbon rail steel orchard posts, however, have a tensile strength of at least 80,000 psi. Wooden stakes may warp once installed. Rail steel orchard posts, on the other hand, will stay straight and strong. Punched Holes Holes on your rail steel orchard posts can be punched at intervals matching your tree-training techniques. Ties stay where you want them to, and no labor is lost redoing ties that have slid to the bottom of a wooden stake. 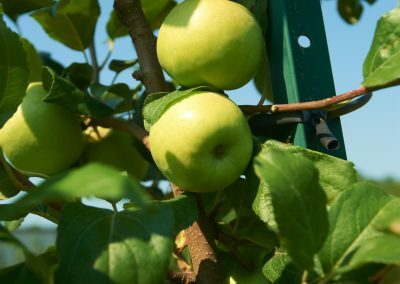 Pointing Rail steel orchard posts can be purchased with or without pointed ends, which allow smooth driving into even the toughest soil. Sizing Standard rail steel orchard post leg dimensions range from 3/4″ to 1-1/2″. Custom sizes, however, are available. For information on custom sizing, e-mail us or call Best Angle Tree Stakes at +1 (570) 546-5571. Finish Rail steel orchard posts are available unfinished or painted with an oven-baked enamel finish. For information on color choices and custom finishing, e-mail us or call Best Angle Tree Stakes at +1 (570) 546-5571.